Friday Night Dinner Parties may be my new favorite thing! I always leave work at the end of the day on Friday simultaneously exhausted and looking to celebrate the start of the weekend. Normally for me, exhausted wins and I spend my Fridays catching up on the DVR. However, for the past two Friday nights I hosted dinner parties instead and have decided it is the best way to kick off a weekend! 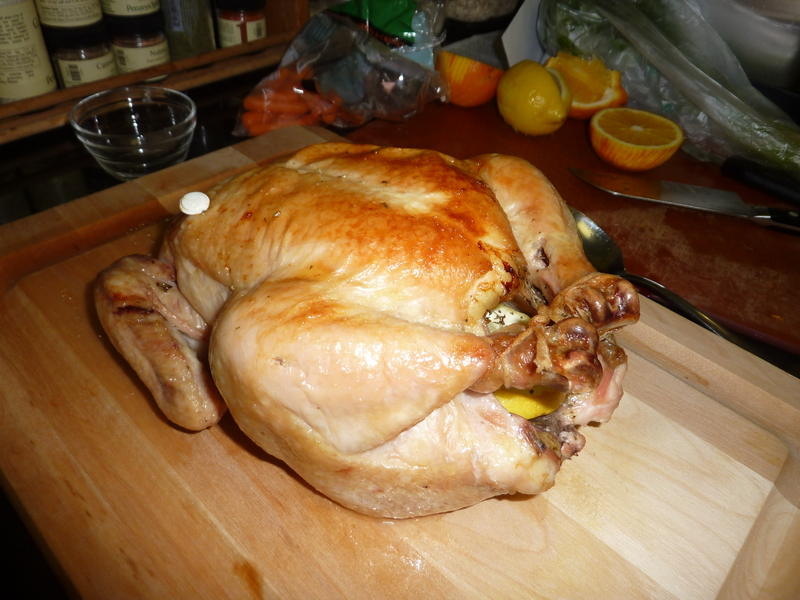 For this past Friday’s Dinner Party we reinvented the Sunday Dinner and made a Roasted Chicken! 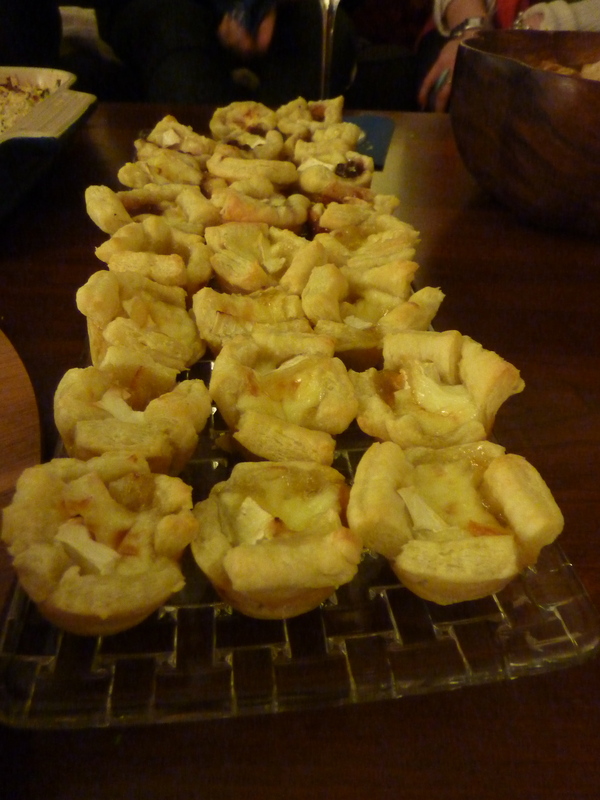 Admittedly we also started the evening with Baked Brie in Puffed Pastry with Fig Spread and Prosecco – a big divergence from the cliche Sunday Dinner but totally typical for a dinner at my place! I roasted the chicken with lemon and herbes de provence. The gravy is made from the chicken drippings, white wine to deglaze, chicken broth, 2 Tbs diced shallots & 1 Tbs flour and is the best part of the dish! We were all (literally) pouring the gravy over our entire plates and eating it on everything! The roasted carrots with parsley & orange and steamed broccoli with lemon & pecan breadcrumbs were both made by the lovely Alex, who was a dream to share the kitchen with! Lastly, the mashed yams (which were not mashed enough if you ask me) is my favorite standby from Epicurious. A heart-warming classic shared with great friends – no better end to a week, or start to a long weekend, if you ask me! 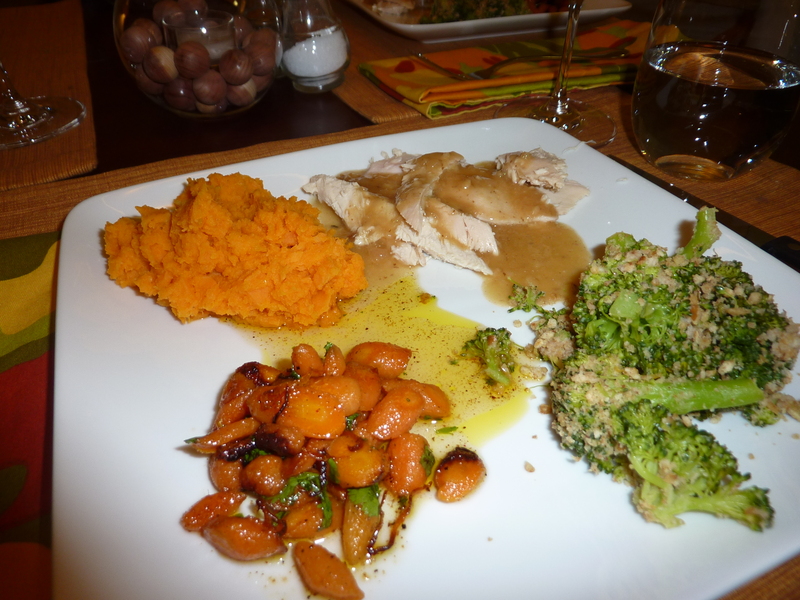 This entry was posted in Culinary Adventures, Entertaining and tagged Casual, Dinner Party, recipe, Roasted Chicken. Bookmark the permalink.